ST. GEORGE – A Washington City man is facing a third-degree felony charge for allegedly taking two packages of key chains from a convenience store gas station Thursday without paying for them. Officers responded to Fabulous Freddy’s, located at 806 N. Bluff Street in St. George, on a report of a suspicious man inside the convenient store believed to be under the influence of drugs, according to a probable cause statement filed by the St. George Police Department in support of the arrest. Upon identifying the man as 27-year-old Bradly Scott Hunt, officers learned he had an active warrant for his arrest. According to court documents, the warrant was issued on Aug. 18 for failure to appear in court on a speeding ticket – traveling 45 mph in a 40 mph zone. 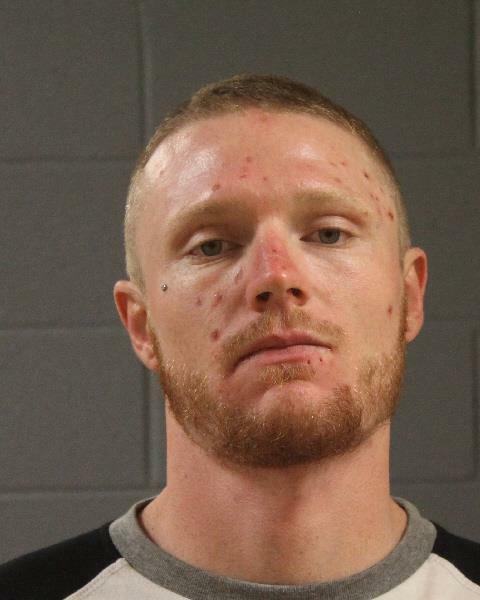 While searching Hunt, officers located a small bag containing a white crystalline substance that tested positive for methamphetamine and a syringe, according to the statement. In addition to the drugs, officers located two packages of key chain carbineer clips concealed in Hunt’s pants which Hunt had not paid for, the statement said. After reviewing his criminal history, police learned Hunt had been convicted of shoplifting three times within the past five years, according to the statement, making the key chain theft a felony charge. Hunt was arrested and booked into the Washington County Purgatory Correctional Facility. He was charged with two third-degree felonies for retail theft and drug possession, along with a class B misdemeanor for possession of drug paraphernalia. Judge John Walton, of the 5th District Court, ordered $10,000 bail for Hunt’s release pending trial. He was found indigent by the court during his initial court appearance Friday and will be represented by court-appointed attorney Douglas Terry. He is scheduled to make his next court appearance Sept. 14. What idiot would get busted for steeling key chains? Oh, wait a minute, wiped out on drugs – that that explains it. Well he has a nice set of wrist cuffs to match his key chains. now let’s see how long it takes REAL LIFE to post another one of his stupid comments. He doesn’t like me. Well boo hoo LOL.! No, no you got me all wrong “dexter”. I like you, I just feel sorry for you. Now sssshhhhhhh, dummy. And once again folks its the village idiot himself. !